Have you read TBM's Internet in China article? Want to learn more? On August 29th, The Munk School of Global Affairs (part of the University of Toronto) is hosting a book launch for Jason Q. Ng's new book "Blocked on Weibo." The word "organizer" is one of the many Weibo-blocked words. 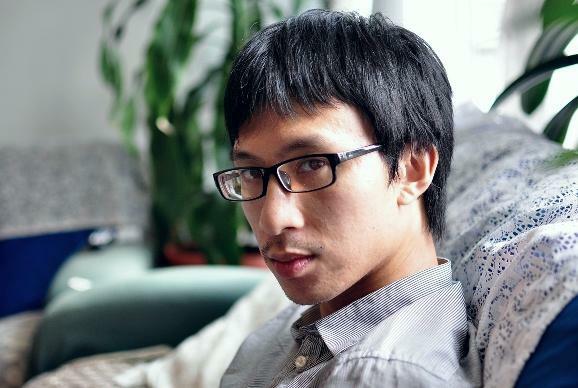 Jason Q. Ng is a Google Policy Fellow at The Citizen Lab (at the Munk School) and a research consultant for China Digital Times. His work has appeared in Le Monde, Foreign Affairs, TheAtlantic.com, and Shanghaiist. Though often described with foreboding buzzwords such as “The Great Firewall” and “censorship regime,” Internet regulation in China is rarely either obvious or straightforward. This was the inspiration for China specialist Jason Q. Ng to write an innovative computer script that would make it possible to deduce just which terms are suppressed on China’s most important social media site, Sina Weibo. The remarkable and groundbreaking result is Blocked on Weibo, which began as a highly praised blog and has been expanded here to list over 150 forbidden keywords, as well as offer possible explanations why the Chinese government would find these terms sensitive. Ranging from fairly obvious words, including “tank” (a reference to the “Tank Man” who stared down the Chinese army in Tiananmen Square) and the names of top government officials (if they can’t be mentioned they can’t be criticized), to deeply obscure words including the Chinese phrase for “The Four Gentlemen” (though it means a set of four traditional flowers, it can also refer to various quartets of dissidents) and “hairy bacon” (a coded insult for Mao’s embalmed body), Blocked on Weibo chronicles many of the phrases that could get a Chinese Internet user invited to the local police station “for a cup of tea”—a euphemism for being illegally detained by the authorities. An invaluable guide to sensitive topics in modern day China, Blocked on Weibo also exposes the fascinating fissures between the idealized society that Chinese authorities dream of having and the actual one that Chinese netizens are creating each day. Click here for details about the book launch and to register. If you aren't going to be in Toronto on August 29th, you can check out Mr. Ng's blog about Chinese Internet issues, Blocked on Weibo.